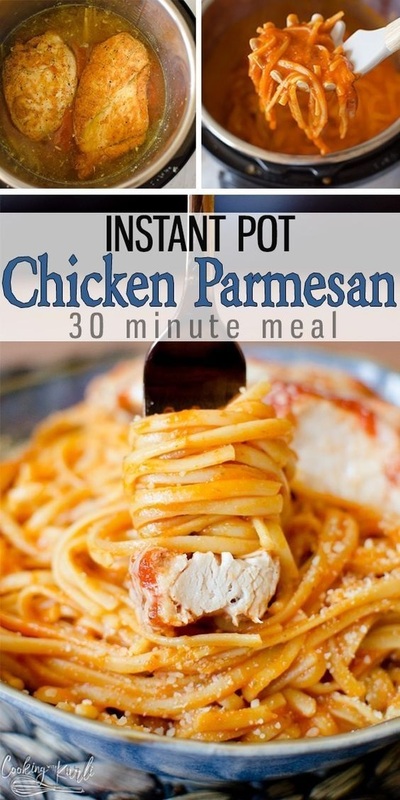 Instant Pot Chicken Parmesan is a breaded chicken breast sitting on top of perfectly cooked pasta smothered in red pasta sauce. The chicken is moist, juicy and tender. 1/4 cup grated parmesan cheese in the green can! Pound Chicken breasts until, at the most, 1 inch thick. I like to pound the chicken with my rolling pin in a large zip top bag. Add the egg into the baggie. Smush around the egg and chicken until it is completely covered.